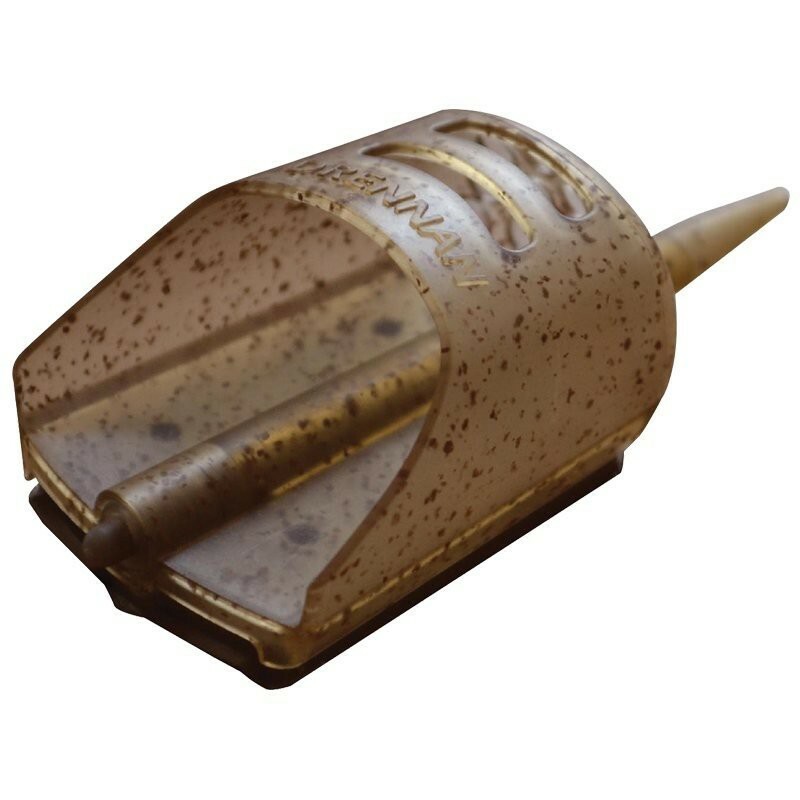 The shovel shaped design of the new Drennan Pellet Feeder includes a unique, tapered heavyweight base with the lead biased towards the front end or leading edge. So casting distance and accuracy is massively improved. They are also very low profile, sitting down tight to the lake bed and are produced in a groundbait/puddle brown speckled camo tint finish so are really unobtrusive. Three sizes, 30g, 35g and 40g, are produced and each Drennan Pellet Feeder is supplied with a loop to loop Method Connector. Produced in Drennan's own factories, the quality of build is strikingly different to many alternatives.